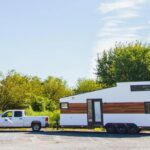 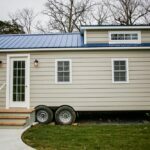 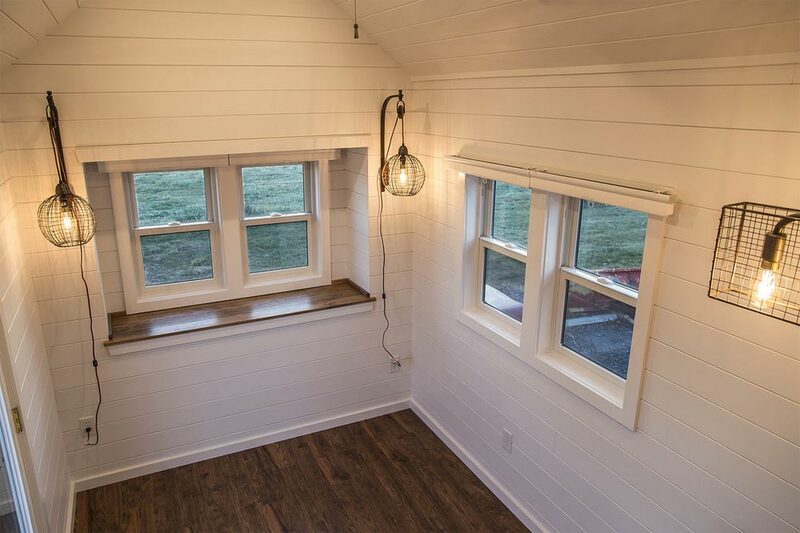 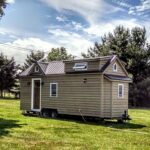 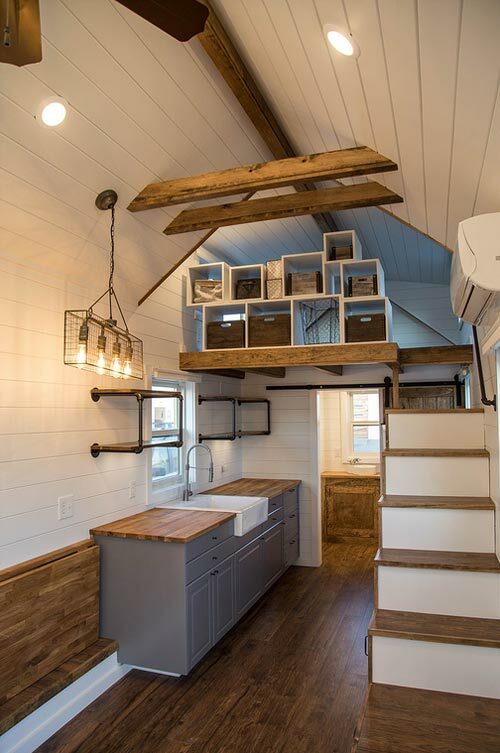 From Pennsylvania-based Liberation Tiny Homes is the Farmhouse Take Five, another variation of their popular Farmhouse model. 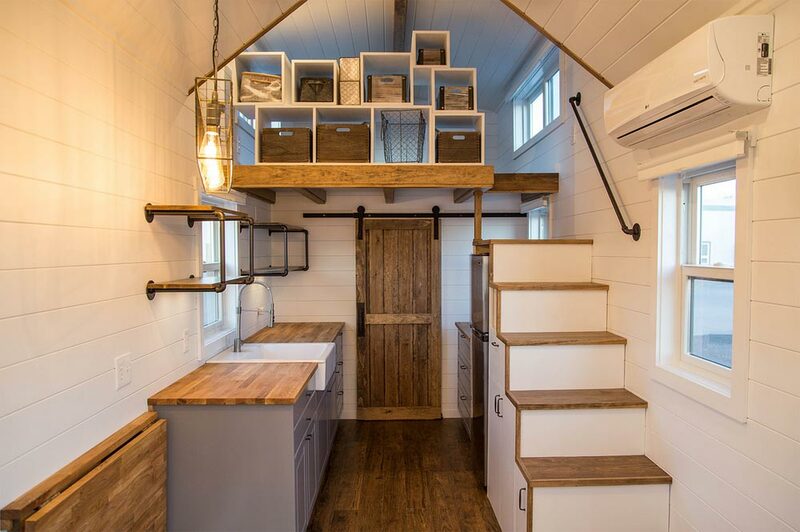 The rustic modern Farmhouse is 24-feet long and features stained pine exterior siding, rusted metal exterior accents, white shiplap walls and ceiling, and stained wood accents throughout. 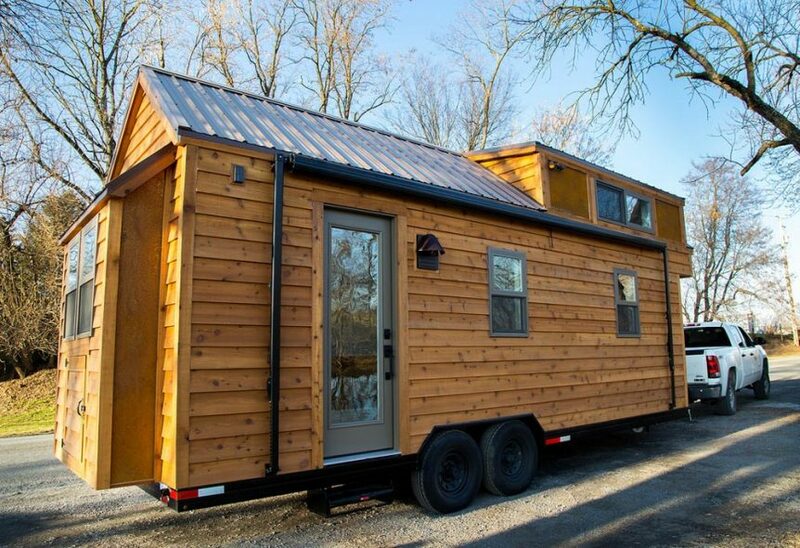 The Farmhouse has front and rear bump outs, providing extra space while using a 24-foot, double-axle trailer. 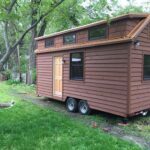 Along the main side of the house is a large retractable awning. 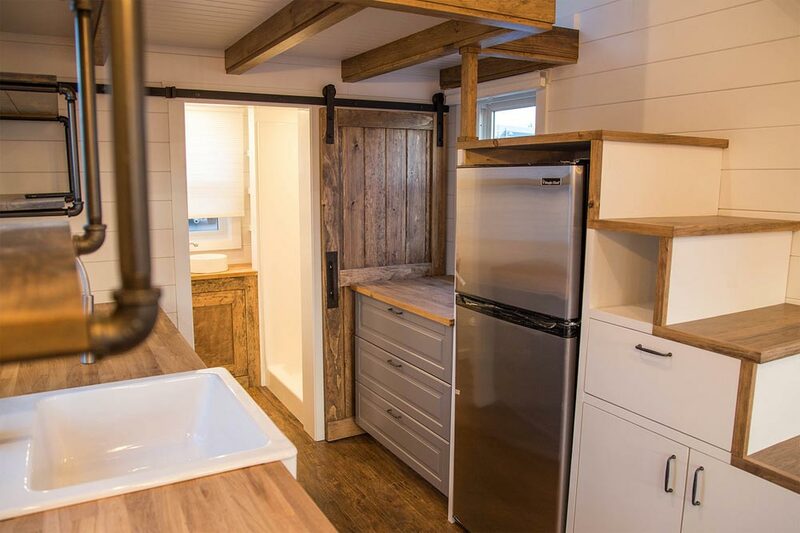 The modern galley kitchen includes gray cabinets, butcher block counters, open pipe shelving, and a farmhouse sink. 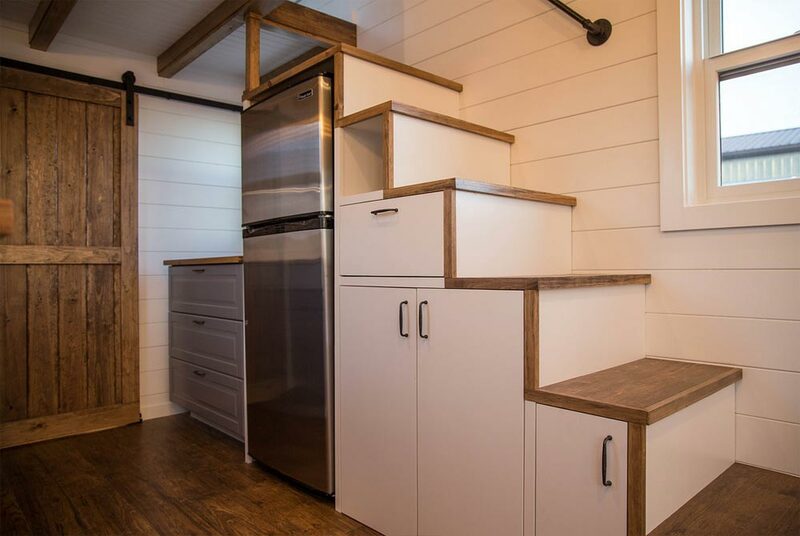 A refrigerator is located in the storage stairs and a drop down table sits next to the counter. 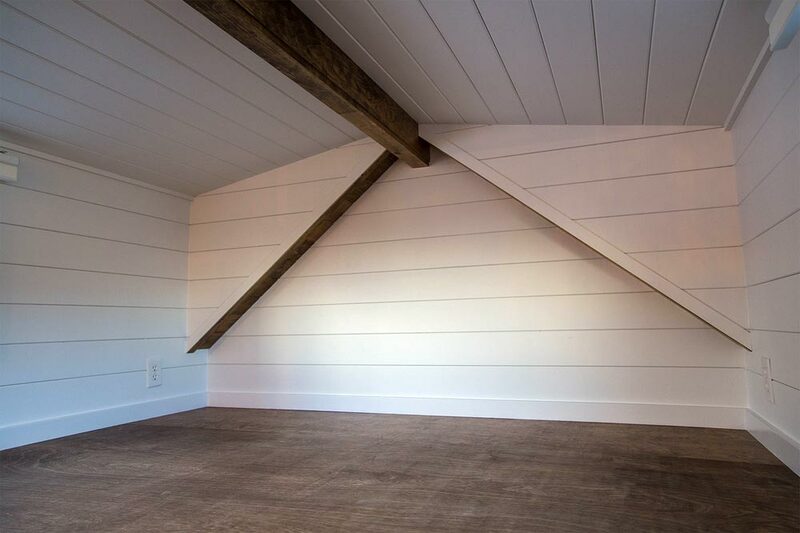 The bedroom loft has double dormers and built-in storage space. 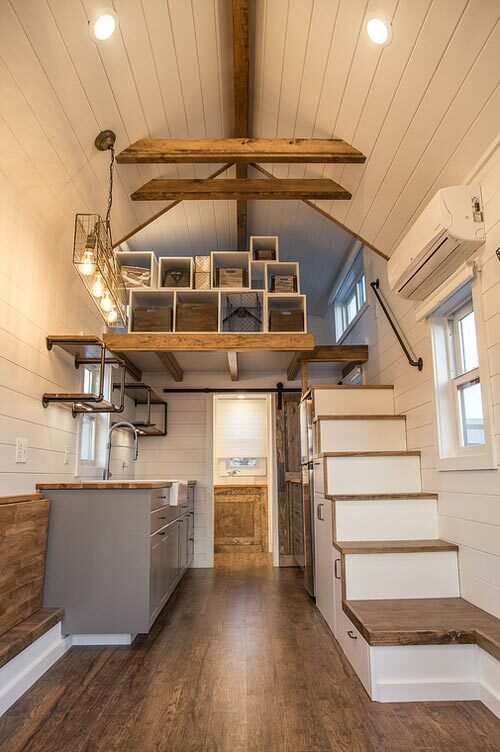 Below the loft is the bathroom with wood barn door. 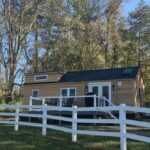 For more information about the Farmhouse, please contact Liberation Tiny Homes. 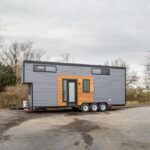 Also available from Liberation Tiny Homes: Tedesco, Modern One, Big Blue, Rumspringa, Alpha, River Resort, Modern, Brownie, Modern Farmhouse, White Modern Farmhouse, Modern Farmhouse Take Three, Farmhouse Take Four, Farmhouse Take Five, Modern Take Two, Modern Take Three, Modern Take Four.